Hot Springs entrepreneur overcomes tragedy and loss to create lasting, living memorials. Meeting Ann Mayle (MAY-lee) is a singular experience: her zest for life and abiding faith are outshone only by her smile. From a vintage high-rise overlooking Lake Hamilton, the Hot Springs entrepreneur recounts a journey that has brought her home to Arkansas roots. “My grandfather graduated from the University of Arkansas in 1910, when the graduating class numbered less than 100,” she notes. “Roy C. Goodwin—he was from El Dorado.” Ann grew up in Southfield, Michigan, a suburb of Detroit, as her delightful Midwestern accent reveals. When she was 14 years old, she experienced a life-altering event. After driving with friends to an after-school house party, Ann opted to remain behind when her teenage companions jumped in the car for a quick trip to a nearby supermarket. Two decades later, she was having lunch with a friend and spotted a Detroit News article about a fatal crash involving local teens. The accident occurred on Woodward Avenue, a well-known street for cruising in the Motor City. During a lunchtime drag race, a car carrying three high school boys spun out and hit a tree. The article included a photograph of the crash site’s makeshift, hand-lettered memorial wooden sign and some plastic flowers drooping in the rain. “How sad that looks,” her friend commented. 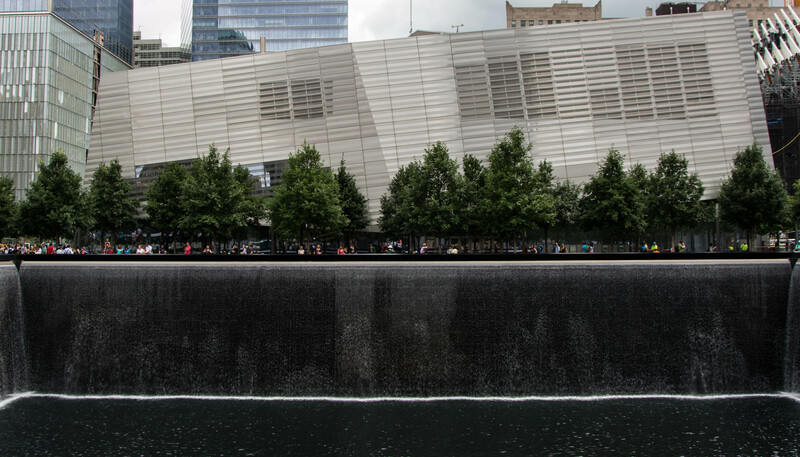 Ann grabbed a napkin and began sketching designs for a permanent memorial, something that would last, like the tree upon which it would be placed. 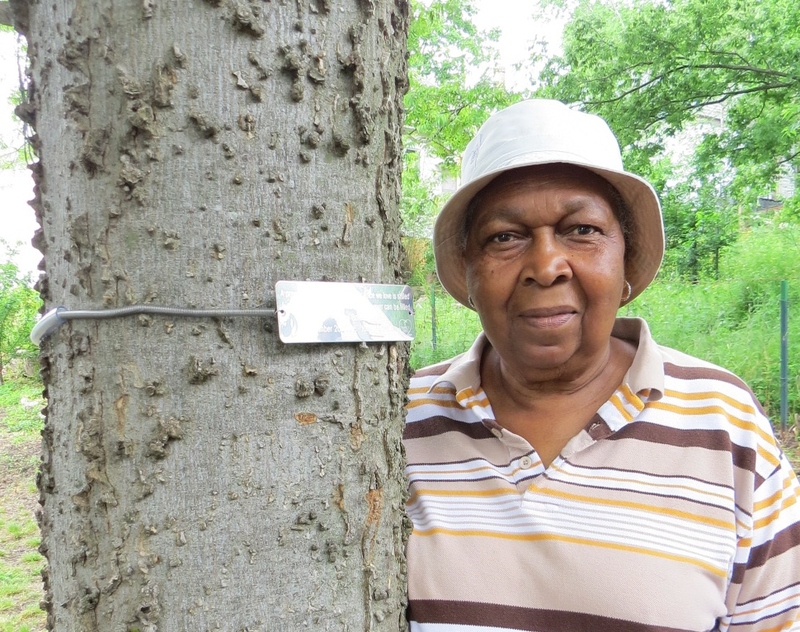 After consulting with arborists in Michigan State University’s Urban Forestry program and private companies, she launched her product in 2000, creating the website, www.AFamilyTree.com. “I call them tree tags,” she smiles. Clients describe them as tree necklaces, tree bracelets or “tree-lets.” The markers are slender, 6-inch X 2-inch stainless-steel plaques inscribed with custom phrases. A special spring-loaded chain encircles the trunk to expand as the tree grows. 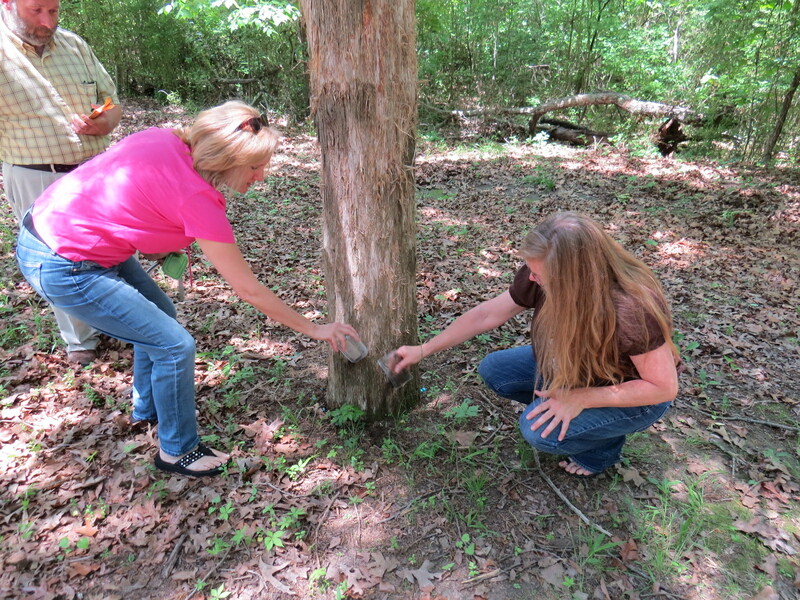 After moving to Hot Springs to be near her elderly mom, Ann donated memorial tree necklaces to two very different, yet intimately connected places, and our paths converged. Exploring her new hometown, Ann discovered the Community Garden I co-founded several years ago, tucked away in historic downtown’s arts district. Enthused about the prospect of joining the garden in the spring, she went right out and bought some tools and gardening gloves. Then, she happened to read a newspaper article describing Daughter of the White River, a book I wrote about a young Arkansas girl named Helen Spence. 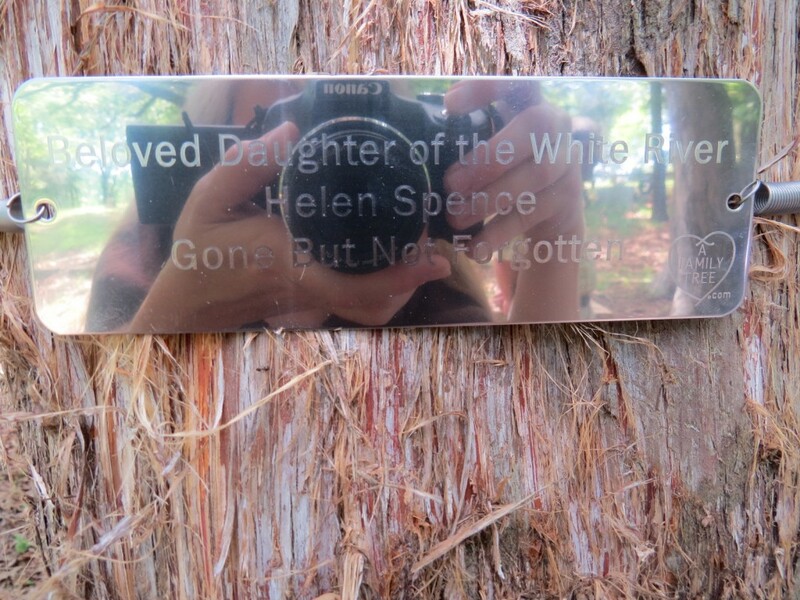 Ann was saddened to learn of the girl’s tragic death during the Great Depression and intrigued that Helen Spence’s grave is marked only by a cedar tree. 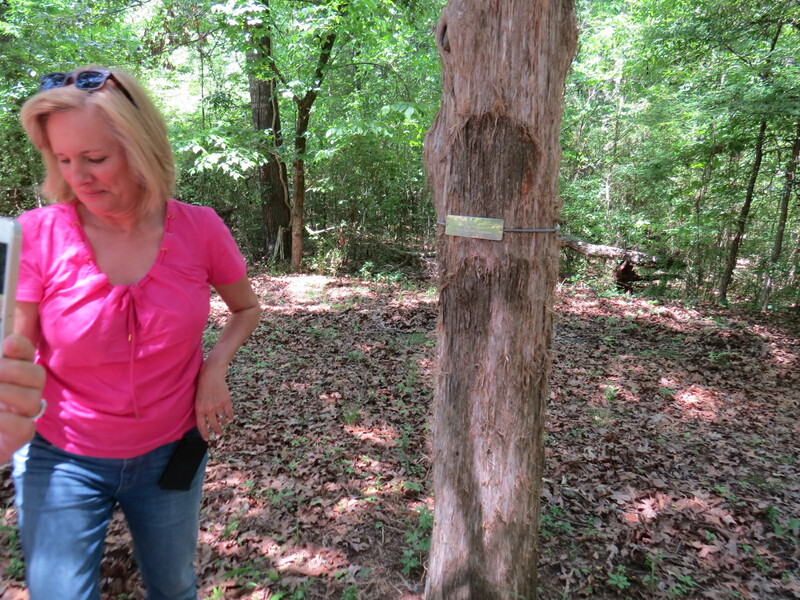 Ann decided to donate a tree marker, and so she tracked me down. As it turns out, we live only 10 miles apart. When we met, she still had the gardening tools in the trunk of her car. Ann appreciates life’s serendipity as a reflection of a deeper truth. Having worked closely with each client, hearing their stories and choosing the right message for loved ones, she marvels at the interconnection of the human family. When we traveled to Arkansas County to place the memorial plaque on Helen Spence’s cedar tree, we were joined by others at the St. Charles cemetery. Brought together in remembrance of a tragic, unjust loss, we sprinkled soil from our homes at the base of the cedar, adjusted the tree tag and stepped back to regard the effect. Suddenly, a discoloration on the trunk’s shaggy bark was evident—the image resembled a silhouette of a young girl, wearing a silver necklace.